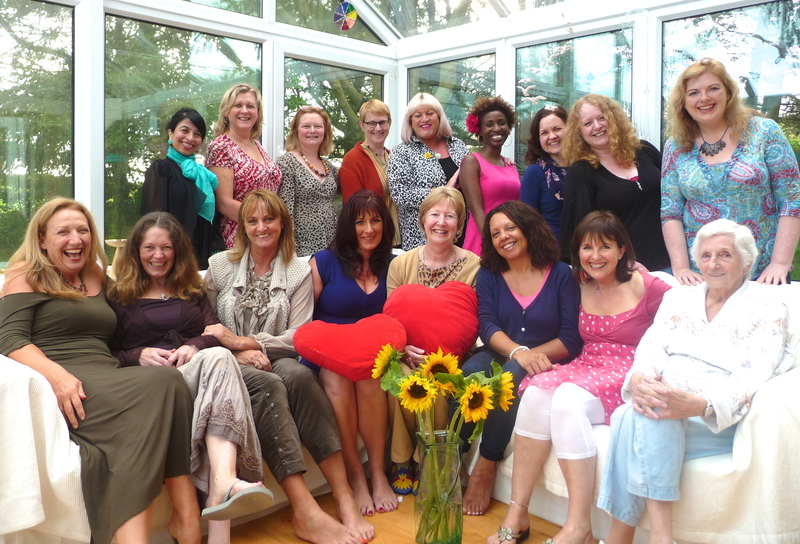 the magic of women’s gatherings …. what is it? If you have ever been in one of my women’s gatherings, I’d love it if you would share with me what you got … what value do you feel there is in women coming together? How might being in a gathering with other women have impacted and supported you? What is that happens when women gather in a circle and have a conscious conversation? What richness have you taken away from any gathering that you have been to that I have co-hosted … or any other ? The video is a collection of some of the hundreds of photos from the dozens of events that I have co-hosted around the world bringing together women business owners and professionals. We all share a strong desire to be our best, make a difference and/or create social change. Working for yourself can be a lonely experience and not without its stresses especially if you are also managing a home and bringing up a family. Many professional women like to join us as they relish the opportunity for an all-female conversation and perspective on life. For the last five years I have been co-hosting a monthly gathering of business women in London and I also organise them wherever I am travelling which is usually in cities in Australia and California. The gatherings are designed to be more powerful than simple networking events as they focus on community building and establishing strong connections between the women attending. The secret to their success is that we all pitch in with the event preparation in the kitchen and helping get the table ready. This is a great way for women to bond and form community and relaxed conversations over food always make for stronger connections. The Gathering includes a more formal circle meeting where the emphasis is on everyone sharing rather a seminar style of listening to one speaker. We recognise the wisdom that each of the women brings to the circle and everyone usually leaves with great practical support and advice and the satisfaction of knowing that they have really helped others too. And it is worth noting the fun and joy are much under-valued currencies in our world today. « Why men don’t listen to women … or can’t hear them? !